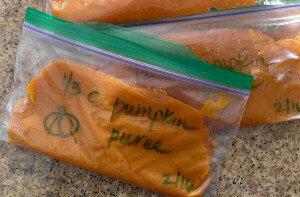 Measure out your leftover pumpkin into small bags, then place all in a large freezer bag for future use. Thaw in a bowl of warm water if you’re in a hurry. Max loves to learn in the kitchen. 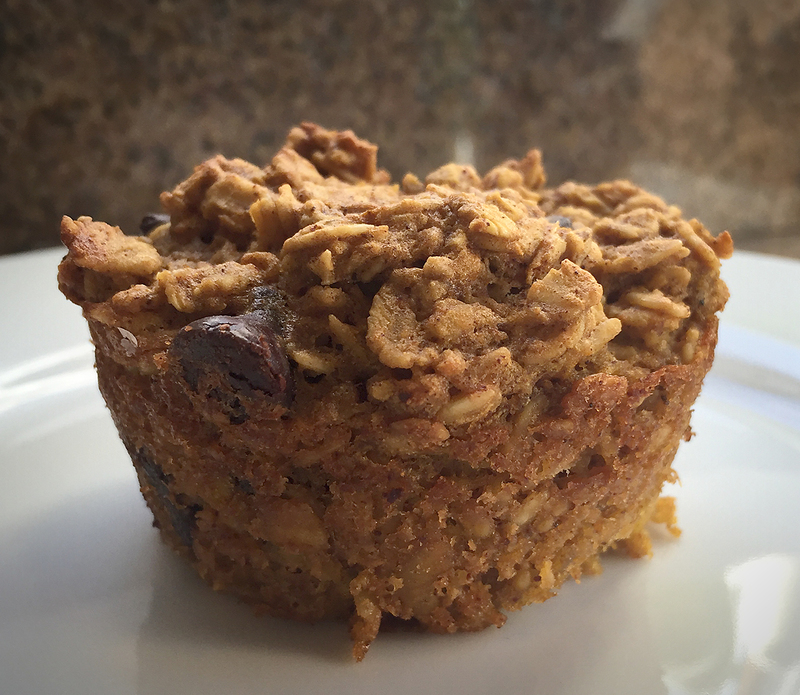 These muffins are a deliciously portable way to enjoy oatmeal. 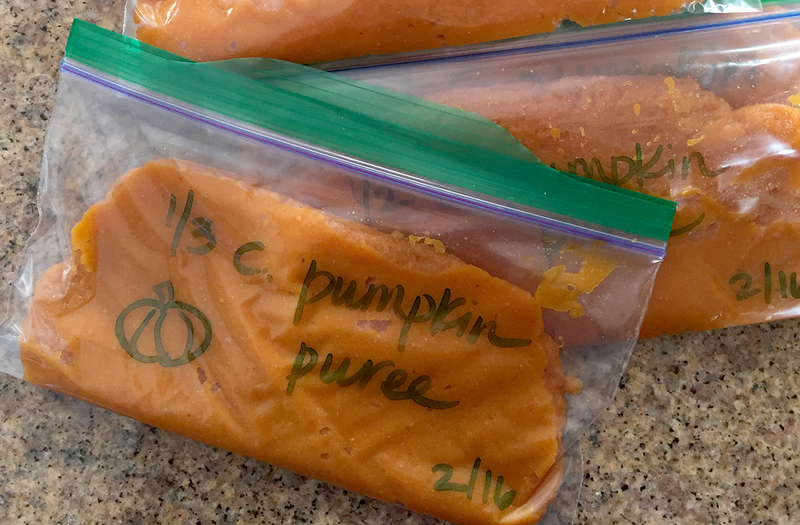 Grab and go on busy mornings or they make a great snack for the kids. To a large bowl, add the first 9 ingredients, and whisk to combine. Bake for about 23 minutes, or until tops are set both visually and when touched lightly, and a toothpick inserted in the center comes out clean, or with a few moist crumbs dangling. Do not overbake. 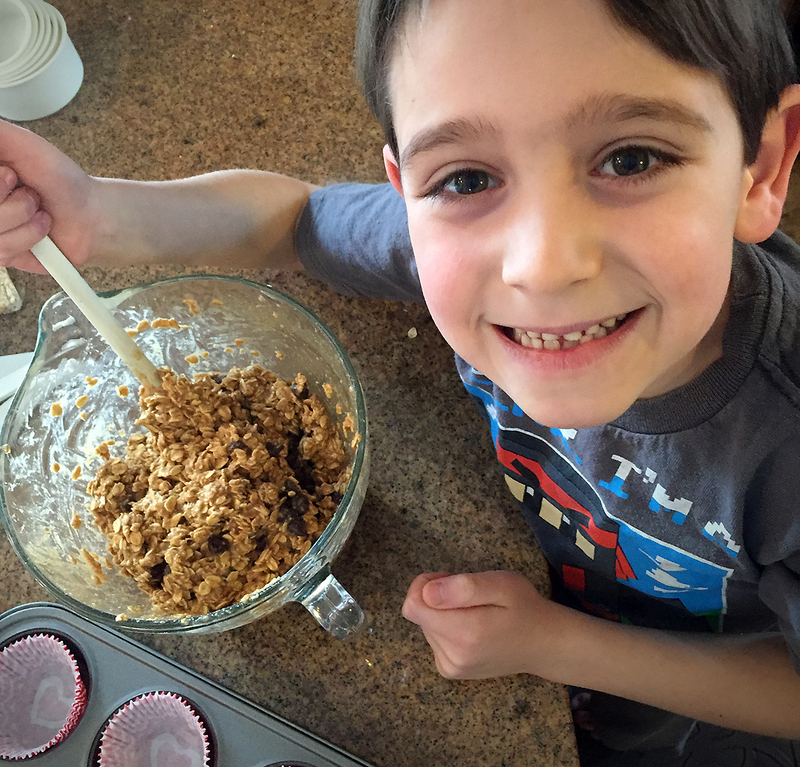 Allow muffins to cool in pan for about 20 minutes before removing and placing on a rack to cool completely. Muffins will keep airtight at room temperature for up to 5 days, or in the freezer for up to 6 months.